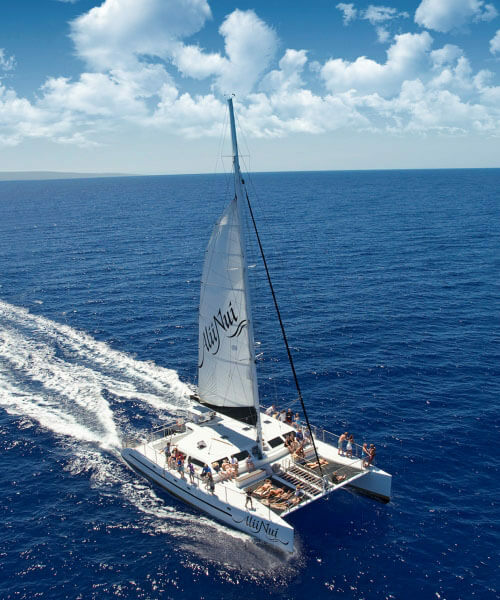 Sail the warm, inviting waters of Hawaii on one of Maui’s premier catamarans, the Alii Nui. The new Alii Nui is a custom built, one of a kind, luxury sailing catamaran. It measures an impressive 65′ from stem to stern, and 36′ port to starboard, with ample seating in the dining area and two over-sized luxury restrooms. 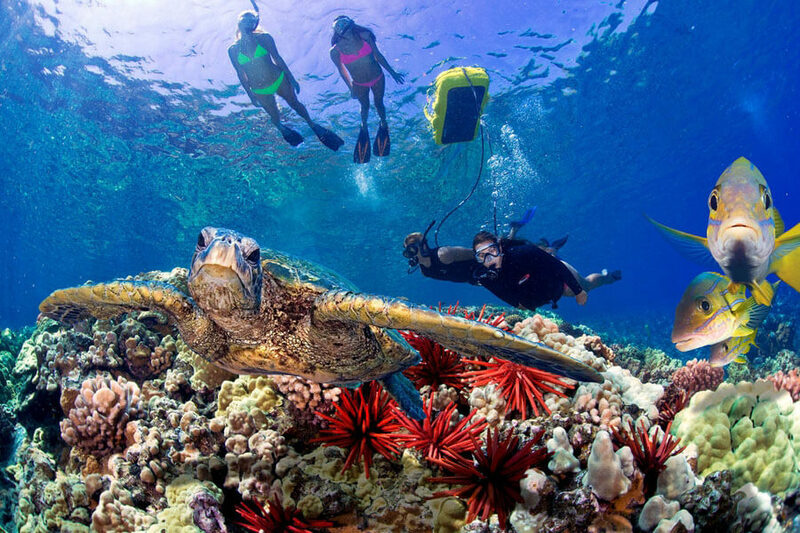 They provide top of the line snorkel equipment, boogie boards, water noodles, wet suit tops, optical masks and large terry beach towels. They even have a heated fresh-water shower for rinsing off after a snorkel or swim. The Alii Nui offers a variety of trips including whale watching, weddings, huka diving, sunset dinner cruises and private charters. Their talented staff includes licensed PADI divers, a professional kayaker, a gourmet chef, and a marine naturalist just to name a few! 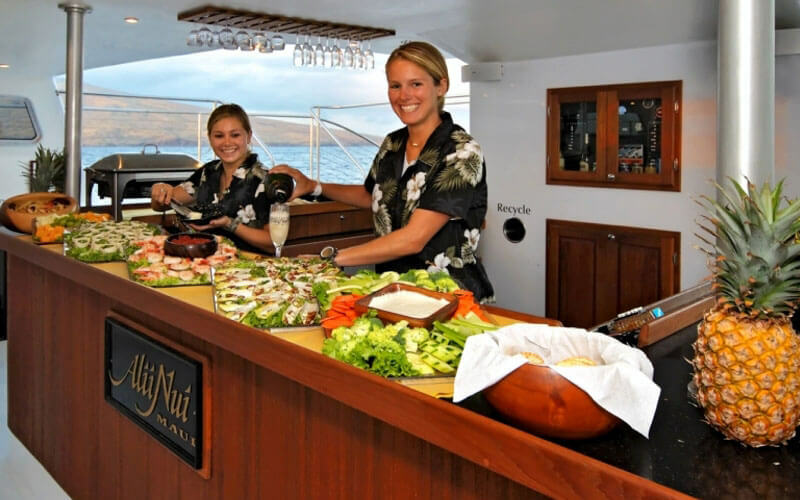 They pride themselves in ensuring the safety and comfort of each and every passenger on board, and making their guests comfortable on the open waters of Maui. A sail on the Alii Nui is all about the views! They have a variety of trips from 3 to 6 hours, and offer complimentary transportation to and from your hotel. So, sit back and relax, enjoy the views, and let the talented staff of Alii Nui cater to your every need. It’s what they do best!